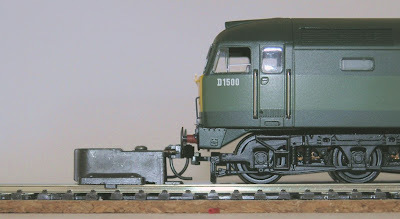 I have just received a lovely new Bachmann Class 47. Which really is a little too late for what I am modelling. This loco was actually built in 1962 - the year I am modelling - so I suppose it's ok. The model has a 21 pin DCC socket - I found that using a converter to an 8 pin Lenz silver made it hard to fit the body back on, so I ordered one of the new 21 pin Lenz silver decoders and that seemed fine.